The Nevada-based animal welfare consulting organization Humane Network has agreed to become trustee of the embattled Las Vegas animal shelter. LATEST: A tumultuous era at the Nevada SCPA could be over. Today, after repeated 13-action news investigations, all five remaining board members have stepped down. 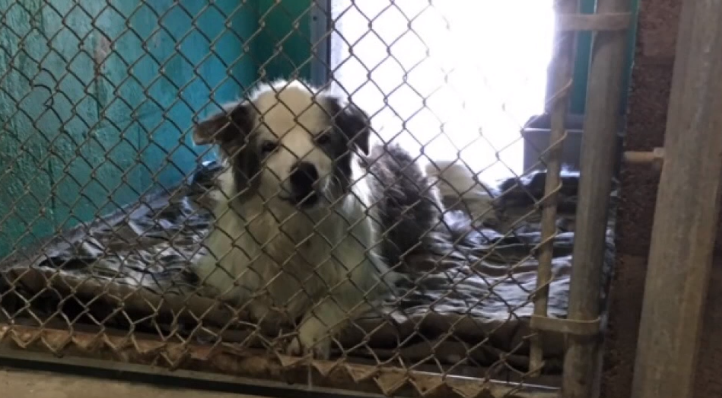 13 Chief Investigator Darcy Spears broke the story today, and shows how the scandal-plagued no-kill shelter alienated a major donor.Darlene Lyndes worked for a man who's name is part of Nevada history. Si Redd was the founder of International Game Technology (IGT) the largest slot machine manufacturer in the world. He made a lot of money in his life. And gave a lot away, too. While Redd made his fortune in the gaming industry through slot machines and video poker, one of his private passions was animals and that's where a lot of his charitable donations went--much of it to the NSPCA--until they did something that no other charity did. "NSPCA was one of our favorite charities," says Darlene. "Until we stopped getting financials." Darlene is president of the Redd Charitable Foundation, which requires income and expense statements from everyone getting their donations. "And we donate to about 50 charities each year," says Darlene. All have provided the requested records, including the NSPCA through 2011. After that, all Darlene got from board president Kathy Jung were signed form letters of thanks with handwritten notes, but never the requested records. "I wrote to Kathy--I sent her the check in 2014. We told her if we don't get the financials NSPCA is going to be deleted...we can't go on like this," Darlene explains. "And they never sent them, so they got cut out in 2015." That cost the NSPCA a donor who gave thousands each year to help the animals. "Do they have something to hide?" Darlene asks. "Is that why they aren't giving them to us?" After our investigation highlighted dilapidated conditions and unfulfilled promises of a new shelter, Darlene got suspicious and dug into her records going back to 2011. "The receipt wasn't signed," she says. "It didn't have a bank transit number on it." No one from NSPCA will go on camera to address Darlene's concerns. And when we started asking questions, Darlene got a call from Scott Reber, Kathy Jung's boyfriend, who works for a local car dealership. "And he said he needed some clarification as to a $20,000 check they'd received," says Darlene. She assured him the Redd Foundation never donated that much to any charity. But that raises another question: Why is the president's boyfriend making that phone call? In a statement, Jung's attorney called Reber an honorary board member. But he's out now too as the Humane Network has taken over the NSPCA as trustee and is cooperating with the Attorney General's investigation, which will include examining nearly $40,000 in checks Reber received last year alone, signed only by Jung, with no backup invoices. "Oh, and no receipts are provided?! Well then that says it all right there," says Darlene. "If she's not turning in receipts, they need to investigate right now." County Commissioner Michael Naft agrees. He wrote a letter to Attorney General Aaron Ford calling for quick action on the complaint. "I think our non-profit organizations...must be held to the highest of standards," says Naft. "When you're soliciting contributions from people, whether it's a $5 or a $5,000 contribution, that is a very serious thing and there's responsibility that comes with that." Internal shelter records show a warning about lack of financial controls going back to 2010. But this complaint says those warnings were not heeded. While dogs waded through sewage, lived in kennels under a leaking roof, suffered through winters with no heat and summers with nothing for air conditioning but swamp coolers, board president Kathy Jung was writing checks to cash for many thousands of dollars with no backup invoices. Jung spent nearly $150,000 last year alone in debit card charges drawn from the NSPCA's account. She visited Pinot's Palette, and made what's being called a suspicious number of purchases at stores like Coach, Kate Spade Outlet, Pier One, Total Wine and Bath and Body Works. She used the debit card at Lee's Liquor, Swarovski Jewelry and the Pahrump Winery; paid for valet parking at the Cosmo and dined on the shelter's dime at Tommy Bahama, La Cave and the Four Seasons. The Humane Network says it will be changing financial protocols and hiring an independent forensic accountant to thoroughly investigate the group's finances. "We need the no-kill shelter," says Commissioner Naft. "They are so vital to our community. All animal lovers, all of us know that. So I want to make sure we have the right leadership to really run that organization effectively, turn it back around and make it what it can and should be." The Humane Network says the shelter has cut ties with Kathy Jung and it intends to fully cooperate with the Attorney General's investigation into allegations of financial impropriety. Jung's attorney believes the allegations are baseless and without merit and he intends to vigorously defend her. "The board of directors of the Nevada Society for the Prevention of Cruelty to Animals (NSPCA) has decided to turn operations of the embattled animal welfare group over to the Reno-based Humane Network. The shelter, located at 4800 W. Dewey Dr., near Decatur Boulevard and Russell Road, is in Naft’s County Commission district. Humane Network is a non-profit, 501(c)(3), organization that helps non-profit animal welfare organizations, shelters and animal services agencies dramatically and responsibly increase animal lifesaving and create sustainable results. It provides personalized consulting, practical information, model programs, and networking opportunities." Humane Network intends to cooperate fully with the Nevada attorney general’s investigation into allegations of financial impropriety. The board's president Kathy Jung has been accused to using money meant for animals for personal expenses. In addition to the changes above, Humane Network intends to hire a third-party forensic accountant to conduct a thorough investigation of the group’s finances. Further, standard nonprofit financial protocols for handling donations, purchases and other transactions will be instituted as quickly as possible. 13 Action News Chief Investigator Darcy Spears Darcy first exposed concerns with the valley's best-known no-kill shelter in November.